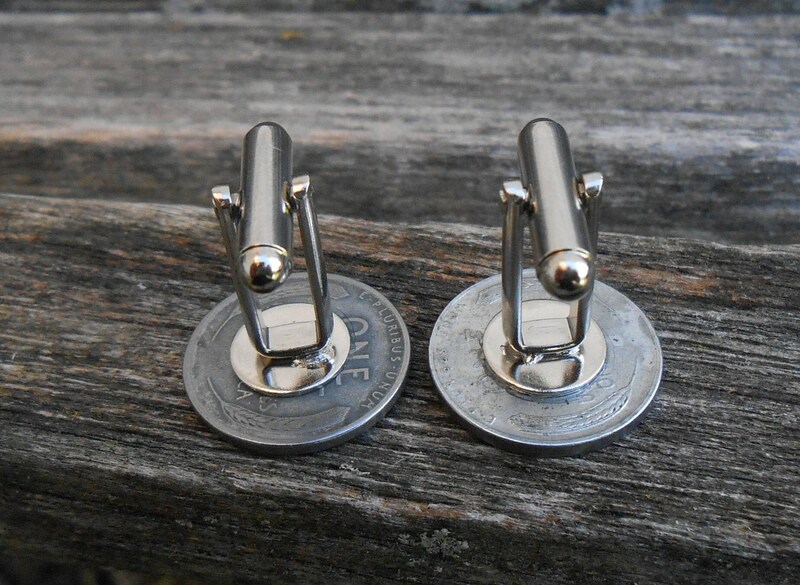 Steel Penny Cufflinks. 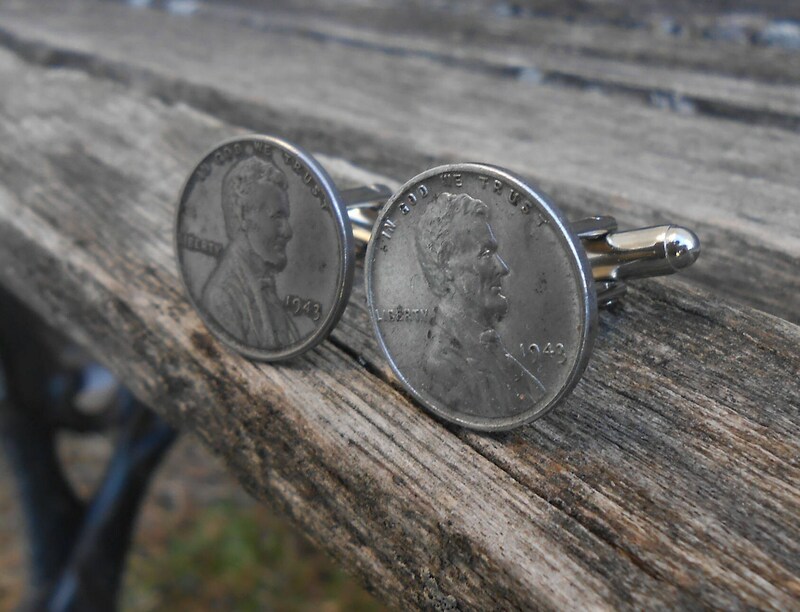 Wedding, Groom, Groomsmen Gift, Valentine, Dad, Anniversary. Lucky, Coin. 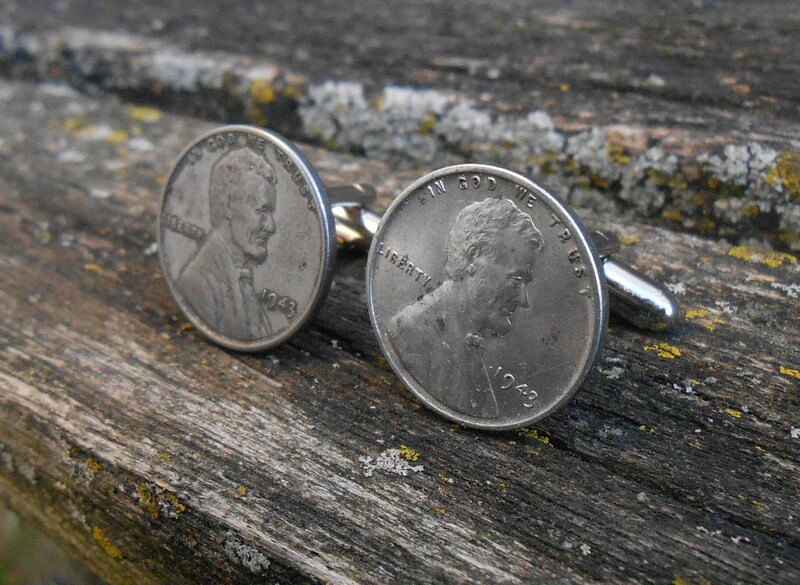 These cufflinks are perfect for any man! 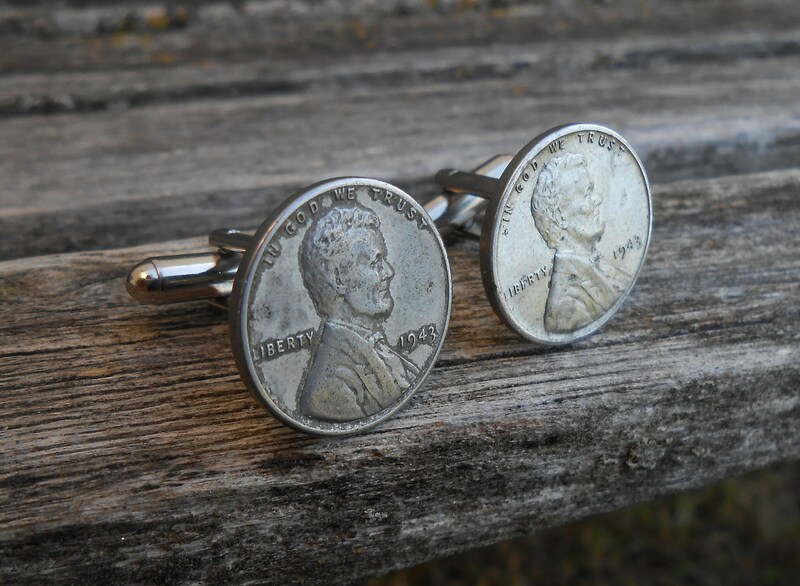 They are made from real steel penny coins! They were made in 1943, due to shortages of copper during World War II. It has the same design as a regular penny, but in a silver color, instead of copper. 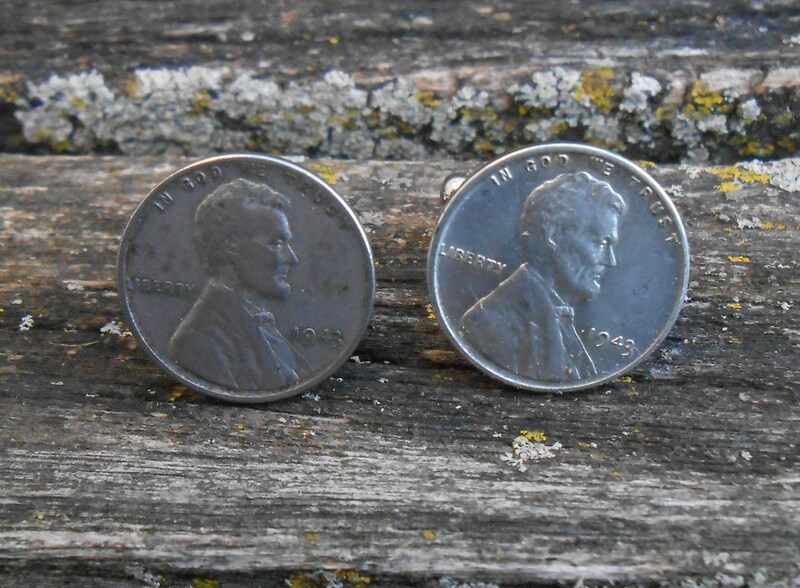 Each coin measures just over 3/4". These would be a great gift for any time of the year! 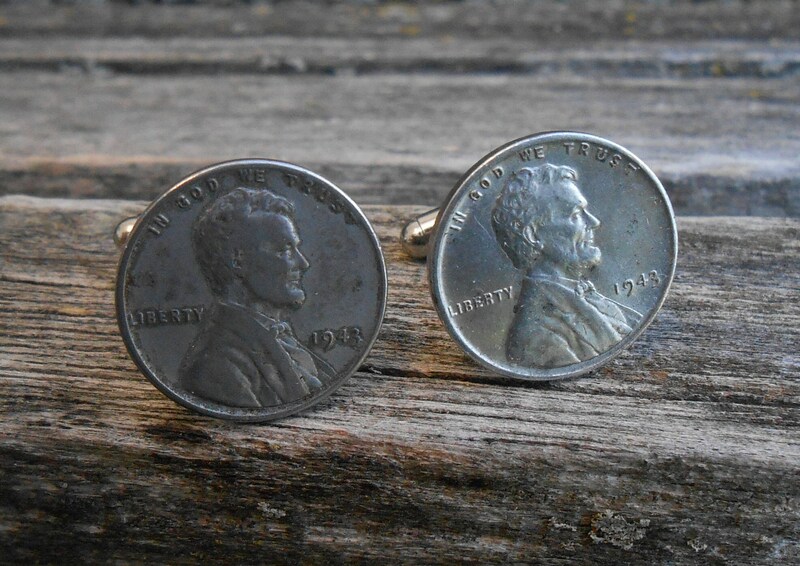 They are wonderful cufflinks for a wedding, for a Christmas gift, for Father's Day, Valentine's Day, or a birthday.